Whether you're taking a vacation to Albuquerque for your child's birthday and want to plan a special party while you're in town or you're living in the city and looking for a unique celebration, the Albuquerque area has plenty of great places to host a kid's birthday party. Many venues offer party packages that take the work out of the festivities for parents while some offer private rooms and special features for an additional fee. Other venues also offer entertainers and party favors as part of the deal. Along with these great places to host a child's birthday party, you could also attend one of the many events happening in Albuquerque throughout the year. Be sure to check the city's event calendar to see if anything fun is happening on your child's birthday. ABQ PartySpace offers two and three-hour parties for kids with space for up to 100 guests at a time. Binky the Clown, hip-hop dance lessons, a glow in the dark party, and a rental jumper house are among the add-on options available at ABQ Party Space, making it a one-stop shop for all your entertainment needs. You can also get a catered meal, a professional photographer or videographer, face-painters, and a DJ recommendation for your party for a little bit extra. The BioPark offers the option of a catered party or a do it yourself affair, and catered parties can take place at either the Aquarium or Zoo. The Zoo has two packages available, with admission for children included in the price but adult admissions sold separately. Alternatively, the Shark Reef Cafe at the Aquarium has a special menu for a birthday meal. Do it yourself parties can take place during regular business hours in areas that lend themselves to picnics. The Botanic Garden's Festival Green, the Aquarium's plaza, and the grassy areas at the Zoo or Tingley Beach all lend themselves to picnic parties. Cliff's is a kids' paradise with rides, games, and splash pool fun in the warmer summer months. The Birthday Pavilion is available on a first-come, first-served basis during normal hours, and if your group is larger than 15 riders, bringing in outside food and drink is allowed. Groups this large also receive a ticket pass discount. Cliff's is open weekends beginning in April late August, and daily through these summer vacation months. Explora is a children's museum and science center that has two levels of party packages for your child's birthday celebration. Different themes are available that cater to three age groups: 2 to 5-year-olds, 6 to 12-year-olds, and kids over 13. What makes Explora Science Parties unique is that kids can enjoy all the typical celebrations of a birthday while also learning about the properties of liquids and solids, bugs, kaleidoscopes, shadows, and other areas of science. 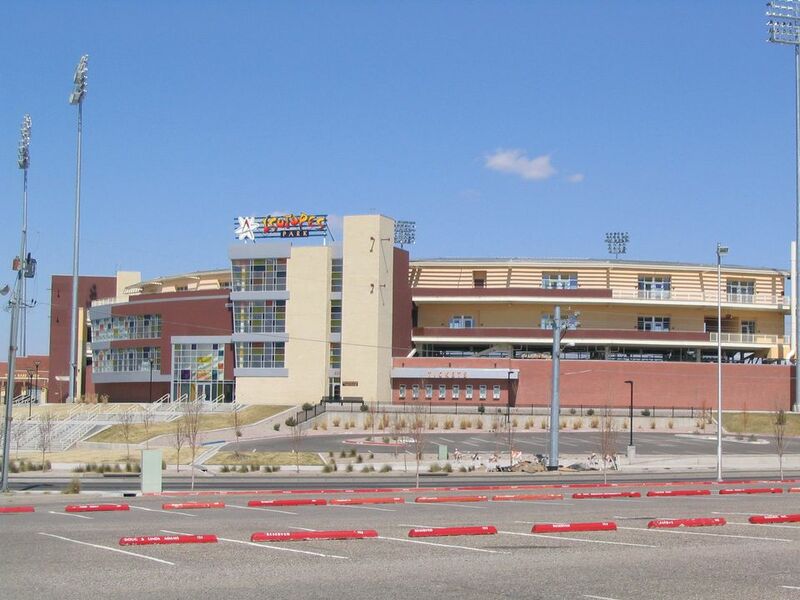 Isotopes Park is a great place to have a kids' birthday party during the summer when baseball season is in full swing. You and your family can take in a game and enjoy the Fun Zone, where there is a batting cage, putting green, basketball, a carousel, and the 'Topes Tower rock wall. Unlimited all-day passes are available, but keep in mind only one birthday party per game can take place at the park. Alternatively, you can also apply for group discounts if you just want to get a big group together for a game. Bring some blankets and purchase food at the park or reserve the picnic pavilion with a group of 25 or more. Voted the "Best of City for Kids' Birthday Parties" for 2013, 2015, and 2016 by Albuquerque The Magazine, the Hinkle Family Fun Center offers a wide variety of special birthday packages and activities. Older kids will love the paintball party, which also includes pizza, soda, and admission to the Nickel City's games and rides. The birthday child will also get a free spin on the Birthday Party Prize Wheel, and all guests will receive a coupon book for future visits. A Ton of Fun offers a petting zoo with miniature animals that kids can feed and interact with. They have chickens, a miniature horse, miniature goat, rabbits, and sheep. In addition to the mobile petting zoo, A Ton of Fun can provide a farm experience with additional items such as the Big Red Barn fun jump and farm themed carnival games. The company also offers rides, food, and a variety of fun including rides on the Enchantment Express train for 14 to 18 people. For the active child, there's nothing like climbing the rock wall at Stone Age. The Stone Age party package includes a guide, safety instruction, harness rental, and a personal Stone Age climbing guide. There's a party room you can rent out, and you are welcome to bring your own food for the occasion or get it catered to the center. As part of the party package, the birthday child gets a Stone Age climbing t-shirt. Albuquerque has two trampoline parks, and both offer a place for kids to have a birthday party. Gravity Park offers groups an hour pass for the jump park, party help, and a flight shirt for the birthday child; add-ons are also available. Cool Springz has several levels of birthday parties. You'll get a private room, an hour of jump time, a party host who photographs and videotapes the party, and a visit with Jax the giant tree frog. Parties come with pizza and soda, and add-ons are also available. There are several water and splash parks where kids can splash and play while getting wet. The Hotel Cascada has an indoor park with slides, tubes, a wave room, and plenty of space for a birthday party, and in the summer, Cliff's opens its Water Mania pool. Albuquerque has indoor pools that are available year round, and outdoor pools available in the summer, both of which welcome informal gatherings for birthday celebrations. For a more structured party, some pools can be rented out for an afternoon, and the West Mesa Aquatic Center offers birthday parties on a first-come, first-served basis during regular recreation hours.